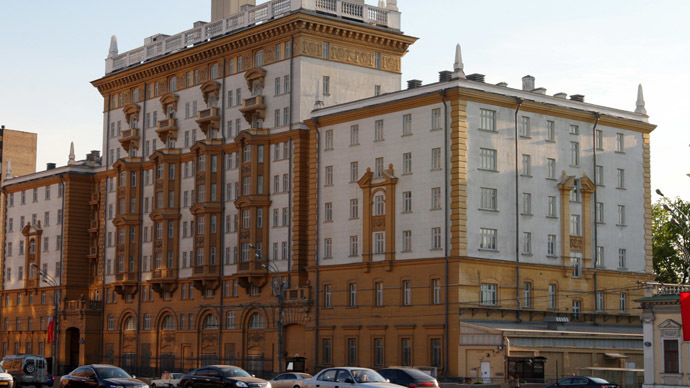 The Minsk summit has shown that the policy of ignoring and boycotting Russia promoted by Ukrainian authorities is ineffective and harmful, holds the State Duma’s foreign relations chief. MP Aleksey Pushkov who chairs the State Duma Committee for International Relations has told ITAR-TASS that the meeting between Russian President Vladimir Putin and Ukrainian leader Petro Poroshenko demonstrated that the line chosen by the government in Kiev in early summer was not up to their expectations. “Stopping the negotiations with Russia on natural gas and blocking a reasonable agreement in this sphere as well as attempts of total confrontation with Russia on all international panels simply do not work. 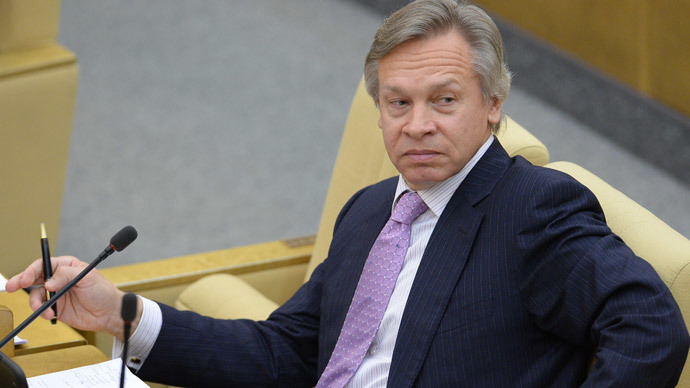 The meeting with Minsk demonstrated that the boycott of Russia and attempts to create such a Ukraine that would have no business at all with Russia were absolutely unfeasible,” Pushkov noted in the interview. He emphasized that the clear anti-Russian line was mainly promoted by Ukrainian PM Arseny Yatsenyuk. 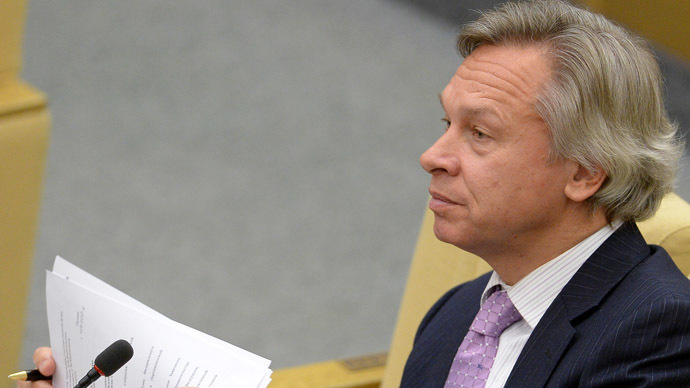 “Yatsenyuk has promoted the idea of severing all trade relations with Russia and claimed that Ukraine could survive it, and now Poroshenko says in Minsk that Ukraine would not benefit from the trade conflict,” Pushkov noted. 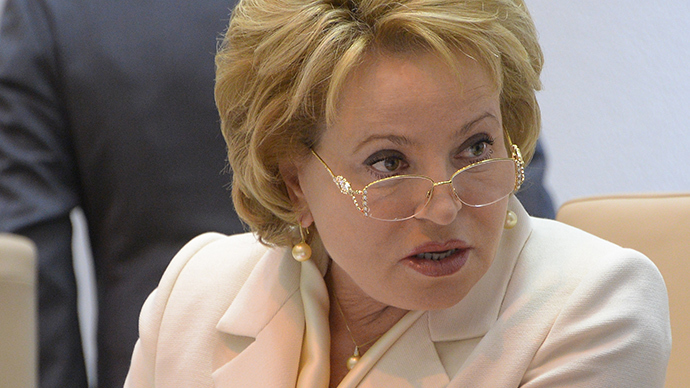 The MP added that the looming change in Ukraine’s policies was, in his view, the main result of the Minsk summit. 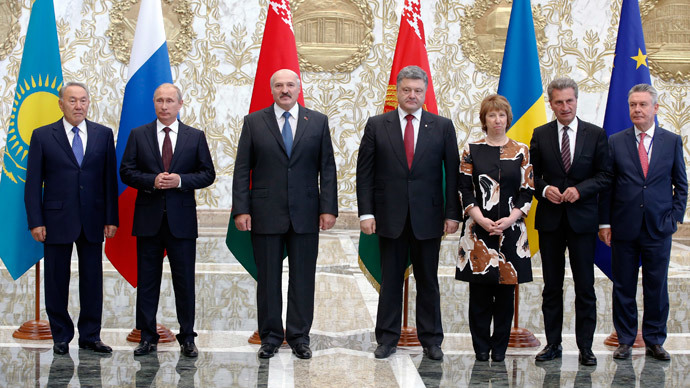 The Russian and Ukrainian presidents met in the Belarusian capital on Tuesday in the course of a Eurasian Customs Union summit, which also includes the Ukrainian president and representatives of the European Commission. Apart from participating in multi-party talks that touched upon Ukraine’s possible future association with the EU, Putin and Poroshenko held a bilateral meeting dedicated to the current military conflict in eastern Ukraine, discussing ways to end it quickly and peacefully. Russia will do everything to facilitate a peace process in Ukraine, President Putin told the press following the two-hour talks with Poroshenko, which he described as positive.However, Putin emphasized that Russia could not set forth conditions for settling an internal conflict in Ukraine, and thus the sides were not discussing a ceasefire agreement.